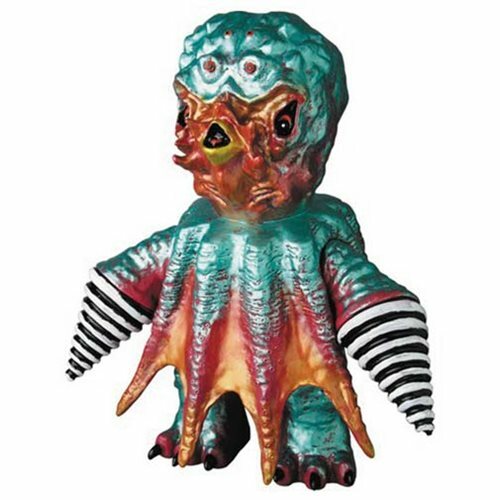 11-inch tall Pollution Kaiju Cobalt Version Sofubi Vinyl Figure. Legendary artist Anraku Ansaku creates this terrifying monster! Legendary artist Anraku Ansaku creates a truly terrifying monster in this 11-inch tall Pollution Kaiju Cobalt Version Sofubi Vinyl Figure. Reminiscent of an octopus with bipedal legs and black-and-white drill-like arms to frighten his prey, this guy will shine in the center of your creature collection!